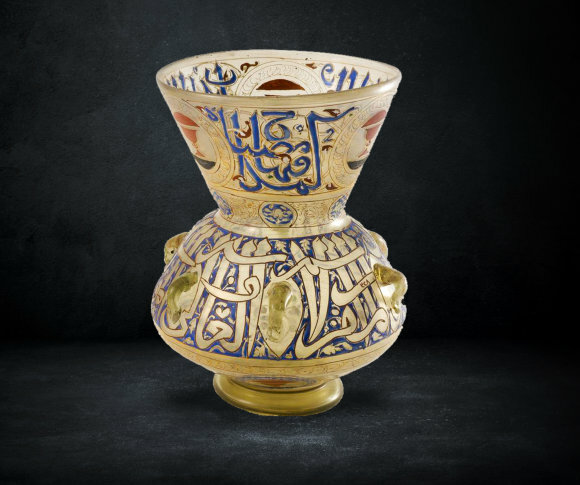 This mosque lamp is adorned with various decorations depicting Quranic verses from Ṣūrat al-Nῡr and phrases of invocation, the decoration is executed in multi-colored enamel. 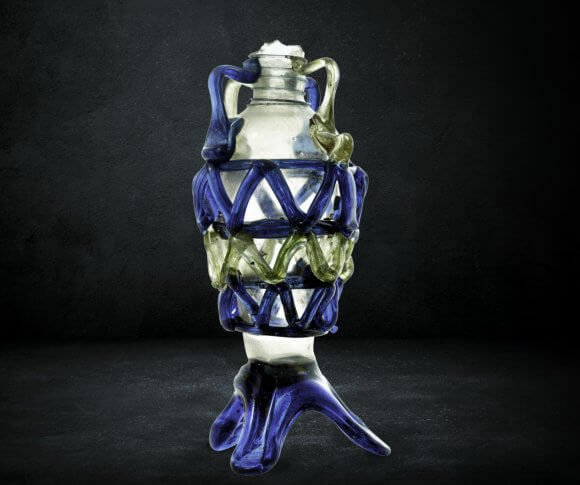 "Glass bottle with enameled and gilded decoration in the name of Sultan Salah al-Din Yusuf; prince of Aleppo. 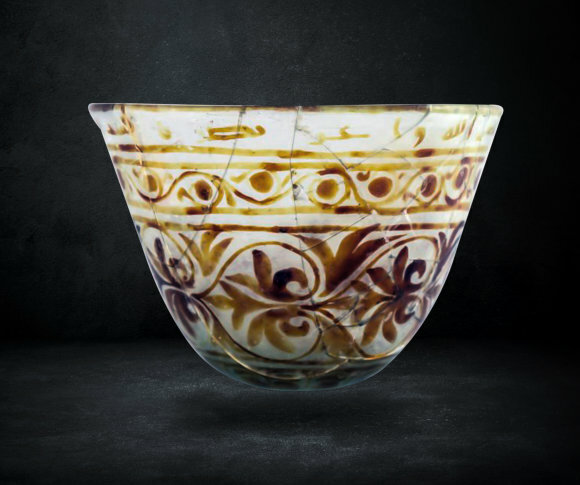 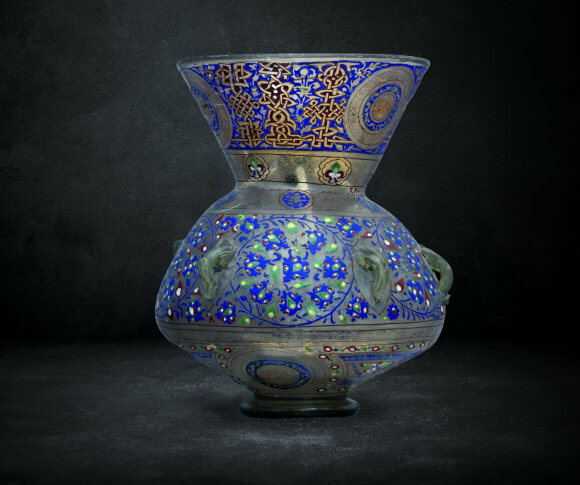 "Glass vessel surrounded by a polychrome glass net, resting on a camel- shaped base. 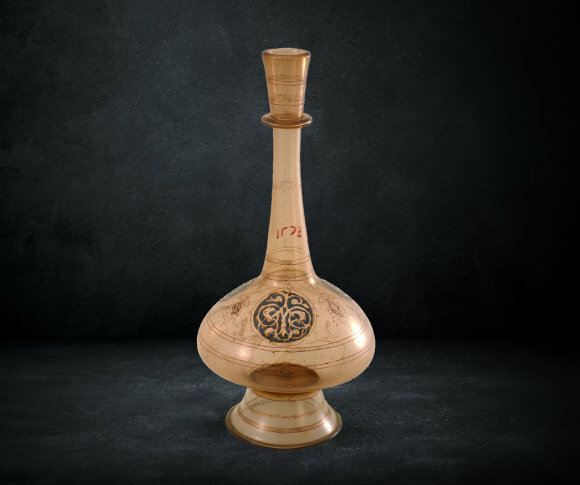 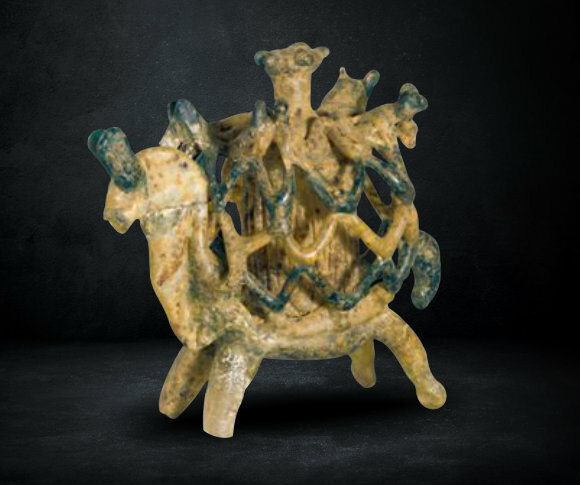 It is a remarkable example of small vessels fixed on the back of an animal or bird.